I have spent the last few days focusing on Christmas in the hope that by the time we get there, there will be very little to do. 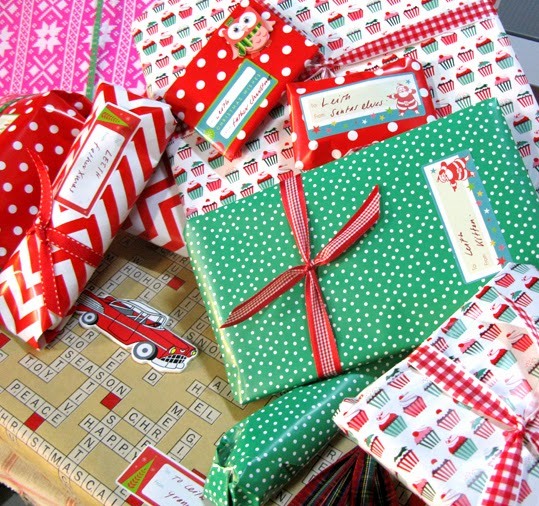 On Friday I wrapped like crazy. 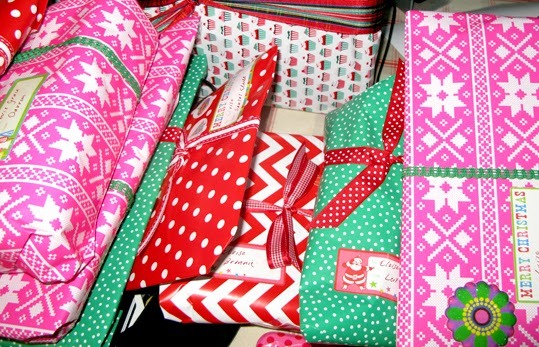 I love the wrapping paper I picked up at Typo, especially the neon pink cross stitch wonder. Eloise came over to help decorate the tree yesterday and I bought the three little ones tiny pressies in the form of their very own decorations, and crackers to get into the fun (middle pic).